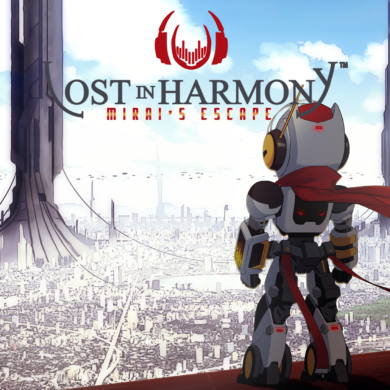 The original soundtrack to Lost in Harmony: M.I.R.A.I. Escape includes 12 tracks imagined by famous Japanese composers. Eclecticism predominates between electro, rock and even ambient. Composed by Onoken, Godspeed Vivix, Tadayoshi Makino, Fumitake Igarashi, Tsukasa Tawada and Joek (feat. Laura Yokozawa). The OST was released on August 17, 2018. Composed by Onoken, Godspeed Vivix, Tadayoshi Makino, Fumitake Igarashi, Tsukasa Tawada and Joek (feat. Laura Yokozawa). M.I.R.A.I. Escape is the bonus companion adventure from Lost in Harmony which takes players on an unforgettable journey through the universe.